Website visitor tracking is the recording and analysis of visitor’s online behavior as they traverse your company’s website. It is the beginning, as well as the core of a solid marketing automation strategy. What makes website visitor tracking so essential? The first and most important reason why website visitor tracking is essential is that it captures every single person that crosses path with your website. Without website visitor tracking, businesses are missing out of 95% of the visitors that land on their website. Website visitor tracking is performed with automated software, so every IP address is gathered and analyzed. Website visitor tracking is also essential because it provides greater insight into a lead’s buying process and their online behavior. Every move they make is tracked and included in their lead scoring profile. Marketers can see exactly which pages they clicked on, how long they stayed on each page, and how often a specific lead has returned to the same website. It also shows when a lead has become inactive. 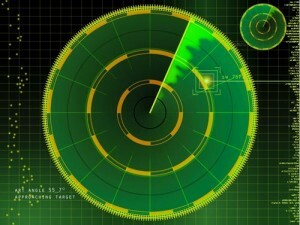 Website visitor tracking is the fuel for the lead scoring and qualification process. It provides a real-time view of prospects activity, so your sales team can act quickly if a lead is demonstrating a strong potential for conversion. Some marketing automation companies will send real-time alerts via text messaging if a prospect views a particular webpage that signifies sincere interest. Another benefit of website visitor tracking is that it provides a valuable metrics for analyzing the success of a marketing automation campaign. Since tracking shows how long a lead stays on a specific page, the reports it generates will show marketers exactly how well each landing page is doing. For example, if there is a link on a connected social media site that is bringing in significant traffic, but the new visitors are leaving as quickly as they arrive, there is something askew with the landing page. This could be because the page they are landing on is not relevant enough to the claim made on the social media link and that is why potential customers are not interested. Website visitor tracking will show you a bounce-rate for each landing page, so you know which ones are working and which ones need tweaking. The biggest marketplace in the world is the internet and 70% of all people start their buying process online. Online companies need website visitor tracking to gather as much information as they can on every potential lead, evaluate their campaigns, and convert more leads into customers. That is why website visitor tracking is so essential. Are You Generating Helpful Visitor Profile Data? Want More Out of Your Visitor Tracking Software?